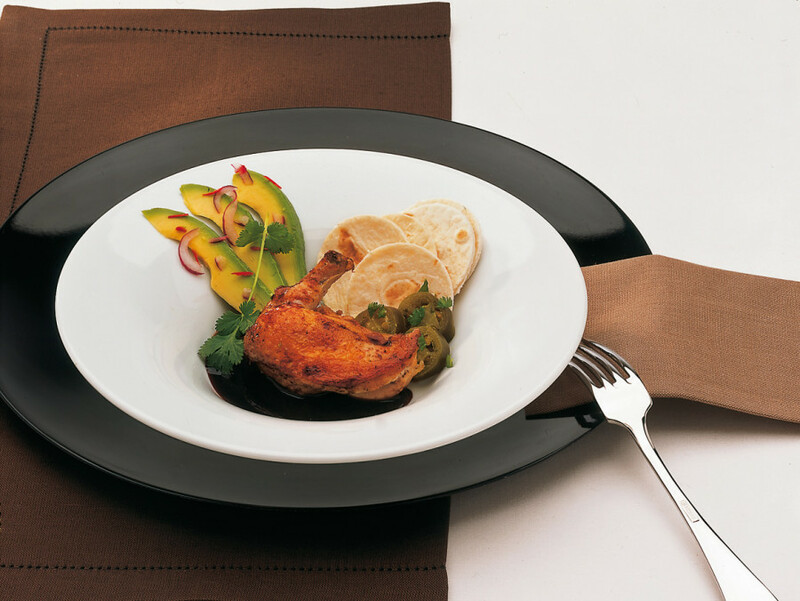 With AVANTGARDE, TAFELSTERN offers a basic collection of plates as well as an additional collection of extravagant serving dishes, plates and bowls with a variety of uses. The appearance of the round plates is further accentuated by the wide concave rims. The pieces can perform the classic serving role or are equally well suited for use as plates for starters, main dishes or desserts. 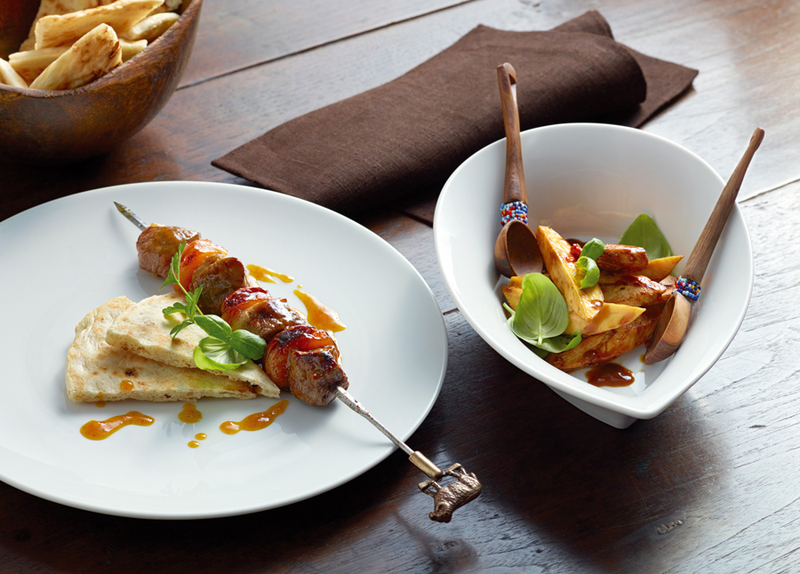 The different styles – teardrop, oval or ogive – provide a fascinating stage for the presentation of every culinary creation. The generous roundness of the deep plates and their distinctive rims provide inspiration for concentric food arrangements. 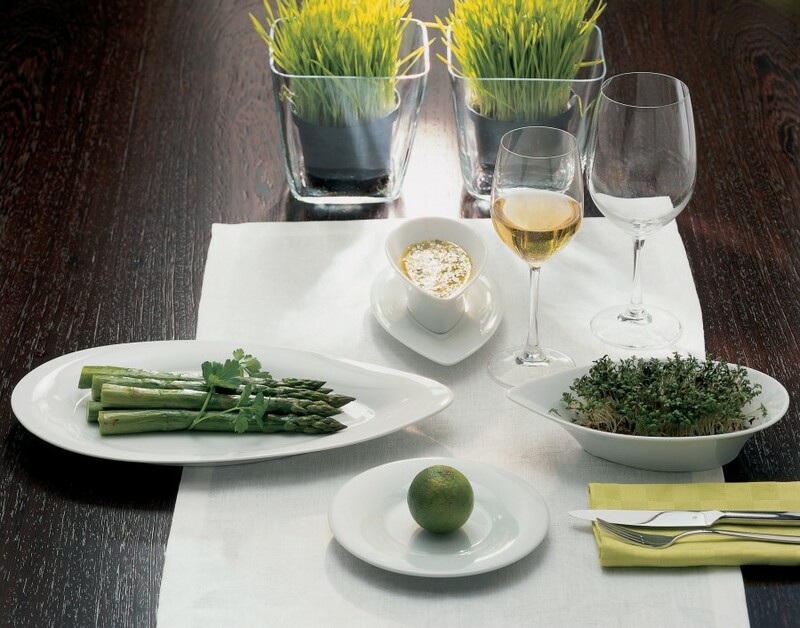 AVANTGARDE impresses with multifunctional pieces which are ideal for the perfect presentation of a wide variety of dishes. 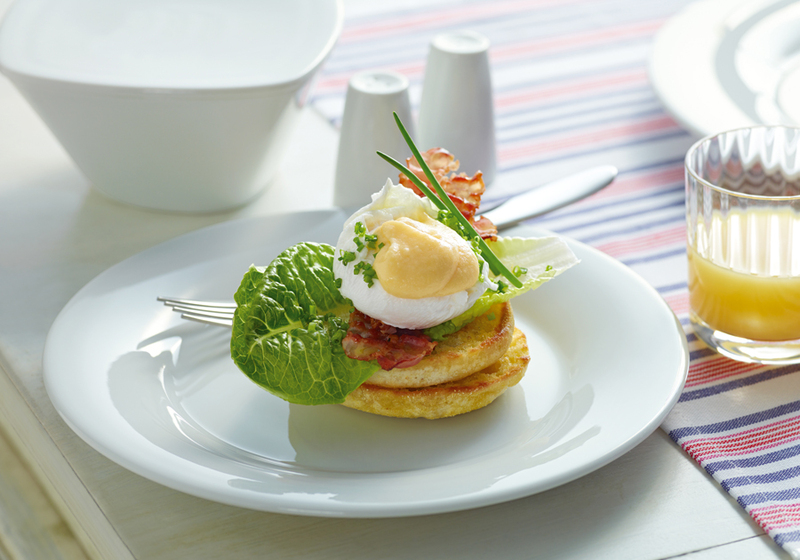 The basic range includes plates with a wide rim. 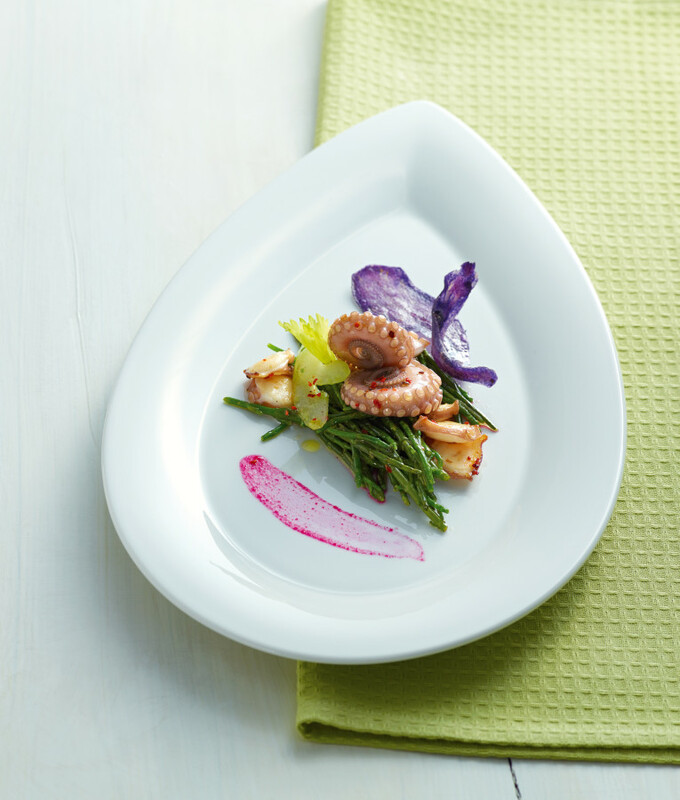 Variability is guaranteed by a selection of plates and platters in tear drop, oval and ogival forms. 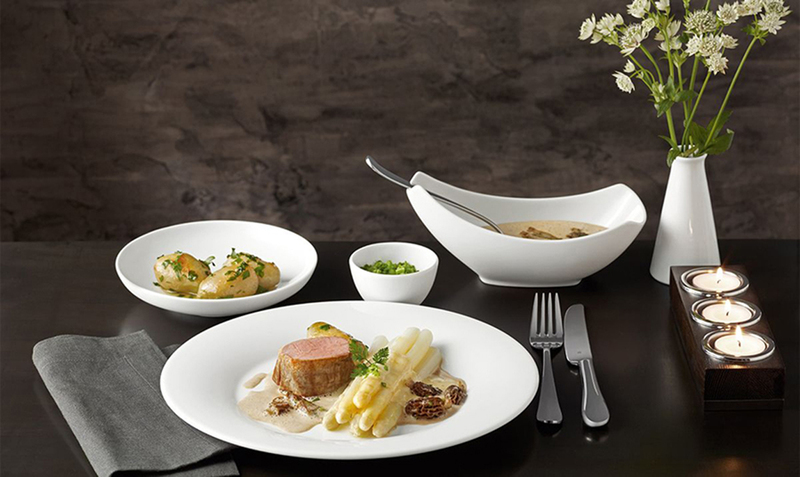 The Avantgarde collection from Tafelstern features plates with wide concave rims, extravagant serving dishes and bowls that all can be used in conjunction with other Tafelstern collections made from high quality German porcelain that is given a hard glaze for added resistance against cuts, abrasions and metal markings.